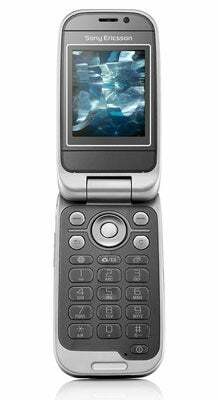 Just officially unveiled in London a short while ago, the Sony Ericsson Z610i is being positioned as the cellphone perfect for people who expect a little more out of their cellphone than just the basic features. To that end, the Z610i, looking at the stats alone, does a fairly decent job. The 2-megapixel camera isn't a piece of junk like most cellphone cameras and its 2-inch, 220x176 pixel resolution display, while not ground-breaking, gets the job done admirably. Besides, the Z610i's has a mirror-like finish, which is just the type of thing that cellphone's have been lacking: more tacky aesthetic devices. On the multimedia front, the Z610i also tries to perform like a champ; never having used it, I can't say for sure one way or another. There's support for MP3, AAC, AAC+ and eAAC+ digital audio files and pictures taken using the aforementioned camera can be uploaded to a Photo Blog application ("this is when the cops showed up..."). Sony Ericsson graciously includes a 64MB Memory Stick Mico (M2), but users can plug in cards up to 1GB in size. She even reads RSS feeds. The Sony Ericsson Z610i will be available in black, blue and pink when it ships later this quarter.